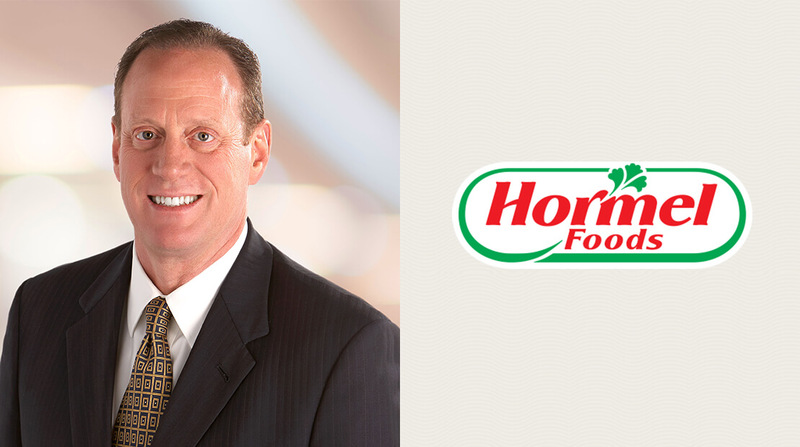 Hormel Foods Corporation (NYSE:HRL), today announced that Steve Binder, executive vice president and president Hormel Business Units, will retire at the end of the Second Quarter Fiscal 2018. The company also announced the advancement of Tom Day to executive vice president, Refrigerated Foods. Day currently serves as group vice president, Refrigerated Foods. As executive vice president and president of Hormel Business Units, Steve Binder is responsible for the company’s Refrigerated Foods and Grocery Products reporting segments, and Consumer Products Sales. Binder joined Hormel Foods in 1979 and progressed through numerous sales and management positions within the meat products and foodservice groups eventually being named vice president of the foodservice group, group vice president of the foodservice group and group vice president of Refrigerated Foods. He was named executive vice president of Refrigerated Foods in 2010 and assumed his current position in 2011. As group vice president for the Refrigerated Foods group at Hormel Foods, Tom Day is responsible for the general management of the company’s largest business unit. Day joined Hormel Foods in 1981 and has held positions of increasing responsibility in sales, sales management and general management. Day was named senior vice president of foodservice in 2007 and was promoted to group vice president, foodservice in 2010. He assumed his current role in October 2013.